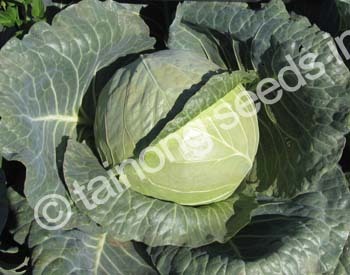 Cabbage: Round types | Tainong Seeds Inc.
Large size heads (7 in) with short core, solid tight internal structure. Harvest in 70~80 days after transplant. Mid season maturity, large, dense, short cored heads. Blue green color, Fusarium yellows (race 1) resistance and tipburn tolerance. Size is ~3 lbs., diameter 6 3/4″. Widely adapted to warmer regions. Idel for fresh and coleslaw market. Blue green color, solid with tight internal structure, short cored. 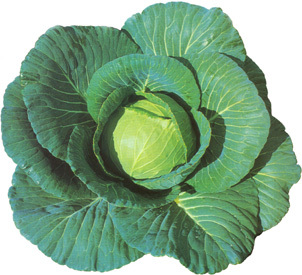 Best holding ability of all early market Sakata cabbages. Does not point under cool conditions. Fusarium yellows (race 1) resistant. 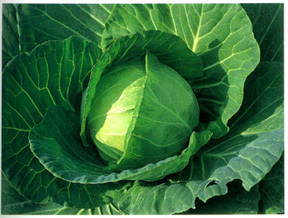 An early maturing (~85 days) fresh market variety with medium green color. 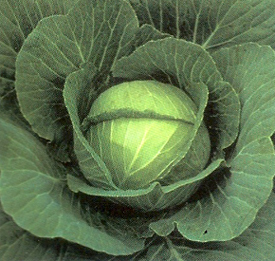 Round shape, tight internal structure and short core. Good holding ability, bolt resistant. Fusuarium yellows (race 1) resistance and black rot tolerance.